Street food is one of the best ways to enjoy food while you’re travelling. Also in Genoa, the street food craze is spreading fast and you can get every kind of cuisine, but here, it is closely linked to the history of the city and its port. 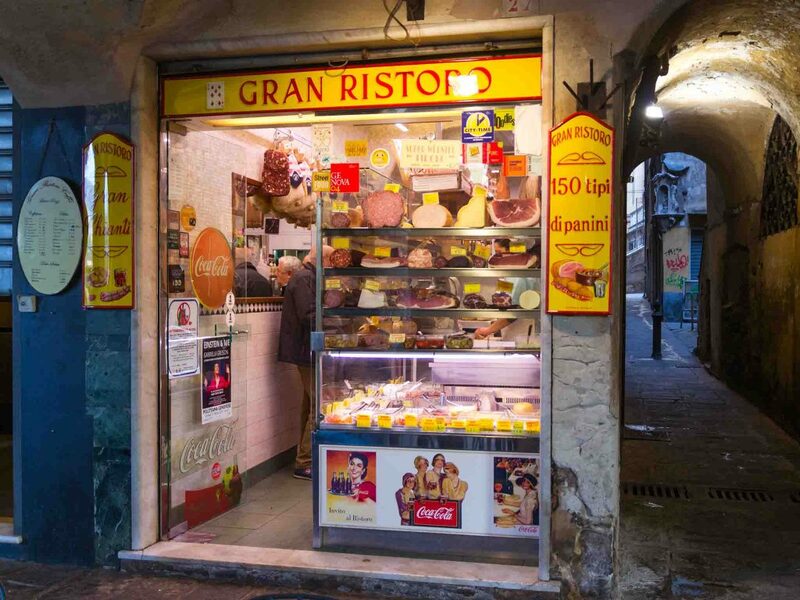 The friggitorie and bakeries that nowadays offer street food to tourists are the same places where the camalli, the Genoese dockers, and the workers ate at the beginning of the 20th century. Traditional recipes have not changed and today tourists can taste the same flavors as a century ago. Exploring street food in Genoa means going into the heart of the city, sometimes in areas well away from tourist centres, where to discover the gastronomic culture and the genuine flavours of poor cooking. Here are the best places to eat local street food in Genoa according to a Genoese. Most of the old street food restaurants are located in the area of Sottoripa on the border between the caruggi, the narrow alleys of Genoa old town, and the Porto Antico, the most touristic area where the Aquarium and Galata Museum are located. It is one of the oldest places in Genoa, dating back to the early 1800s. The sciamadde in Genoa are the ancient friggitorie, where you can taste fried fish, vegetable pot pies, rice cakes, herb fritters and cod fish. Originally they were small restaurants with a wood-burning oven and “sciamadda” comes from the flame of the wood used to heat the oven. There is no room to sit, but only a countertop with the dishes on display. You can choose your food and have your lunch on the go. You can also taste the farinata, the traditional chickpea flour cake, very thin and super tasty. All prepared with products from Liguria. 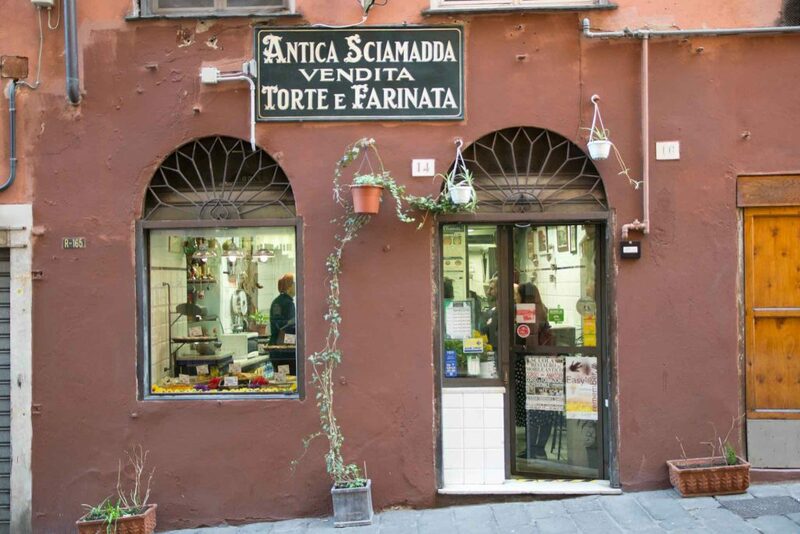 Under the arcades of Sottoripa, just behind Palazzo San Giorgio, there is this small restaurant that makes sandwiches with over 150 ingredients. It would be a real shame not to stop and eat a sandwich here. There is always a bit of a queue but it’s worth it. There is something for all tastes, meats, fish, vegetables. All served with all kinds of tasty sauces. You can choose your favourite main ingredient and then the owner will suggest you the perfect match for your panino. Take it away and enjoy it with a glass of wine! The Antica Friggitoria Carega is another of the old sciamadde in Genoa. It is located in front of the Aquarium, under the arcades of Sottoripa. Here, in addition to the traditional savory pies, you can enjoy the frying of pigneu, small fishes floured and fried in boiling oil, in large steel pots. Fishes are pulled up with large skimmers and served in a paper cone. You can eat them standing in the shop or on the go through the old town. After fried fish and salty street food I recommend you a walk through caruggi to the Latteria Buonafede. It is very small shop dated 1903 where you will probably have to queue a bit outside to get in, but it’s worth it. Here you can taste the best cream of Genoa with coffee or a Krapfen, perfect also with a dusting of cocoa. But above all you must absolutely taste the panera, a semifreddo made with cream and coffee, typical of the city of Genoa. Really a yummy ice cream! 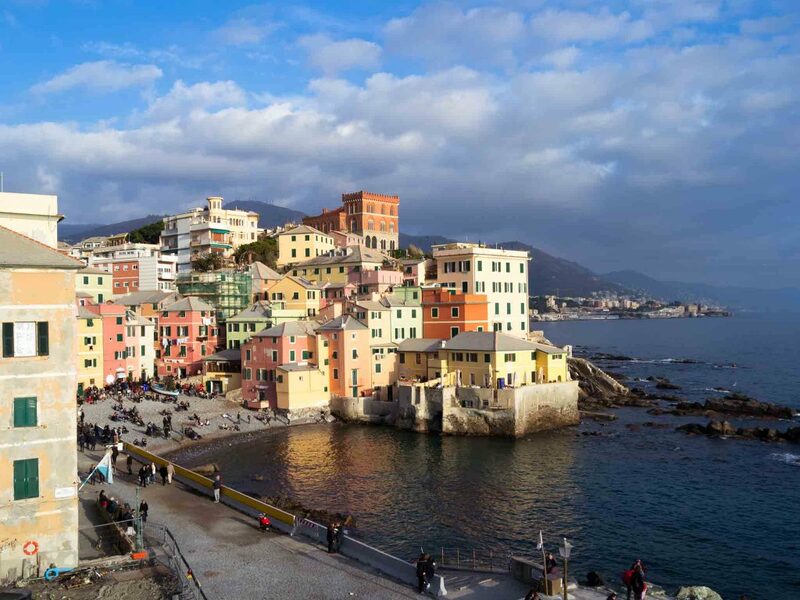 Genoa is a seaside town and, if you decide to visit it, you absolutely have to spend a few hours in the small fishing village of Baccadasse. Here you can taste cheap and cheerful street food sitting in the small beach enclosed by the typical and colourful Ligurian houses. In the narrow pedestrian alley that leads from Corso Italia to Boccadasse beach there is a small restaurant of the Boccadasse fishermen’s cooperative. Here, for 10 euros, you can order the freshly fried fish cone: shrimp, anchovies, baby squid and baby octopus along with thinly sliced fried vegetables. You can also sit down and eat at the few tables inside, ordering something from the menu written on a blackboard at the entrance. All dishes are prepared with the catch of the day that each morning comes right off the fishing boats. However, the best way to enjoy street food in Boccadasse is to take away your fish cone, with a glass of white wine or a cocktail, and go and sit on the beach for an aperitif. Directly overlooking the beach of Boccadasse, this artisanal delis offers the typical Ligurian focaccia, simple or with sage, olives or onions. 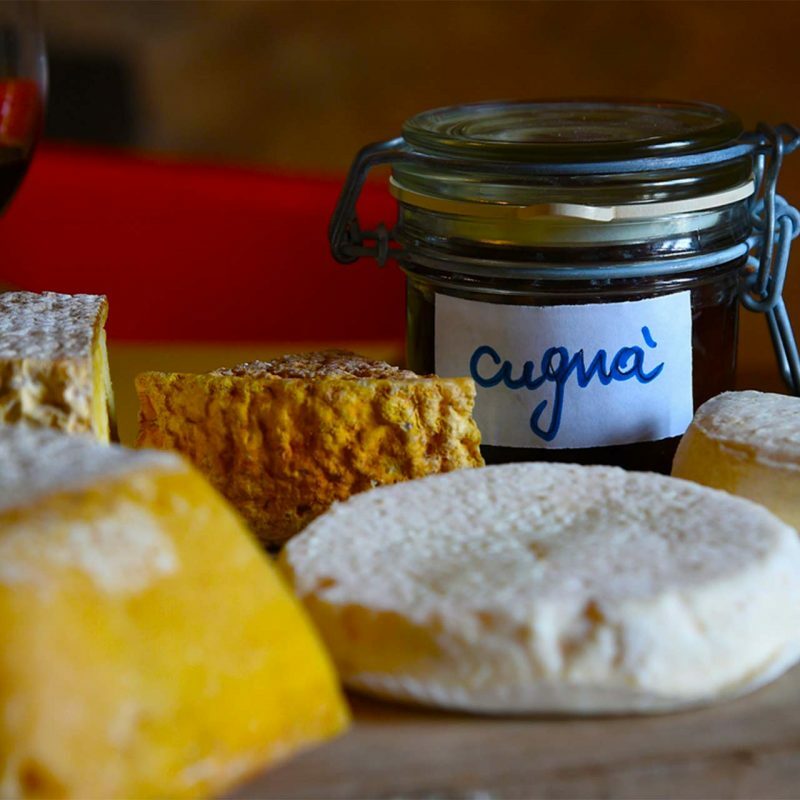 You can also taste a savoury farinata, pot pies and la focaccia di Recco, a delicious cheese-filled focaccia. Together with a cold beer, they are perfect for a lunch break or a picnic on the beach, especially in the first sunny spring days. If you’re in the mood for something sweet, you have to taste Amedeo’s ice cream in Boccadasse. Generations of Genoese people have spent some time to get a tasty ice cream in Boccadasse on Sundays or summer evenings. Here you can savour the real Italian artisan ice cream. You can choose between several flavours but you should definitely taste the Amedeo Cream with honey roasted peanuts. For some years now, in addition to the historical store, a yoghurt shop and steccheria has been opened in Via Aurora. Get in and enjoy it, the sticks are colourful and charming as well as very good! You cannot leave Genova without tasting the focaccia Genovese. There is not only one place where to buy it, but you can find it everywhere. Local bakeries always have a lot of focaccia ready to be served and the quality is very high everywhere. Maybe the bakery around the corner has a thin focaccia, while downtown you can probably find a thick one but the taste is always very good and everyone loves it. If you are lucky, you well find a hot focaccia, if the bakery has just taken it out of the oven. Genoese people often have a piece of focaccia for breakfast. It could sound weird, but do not hesitate to try it with a hot capuccino: you will love it! Among the many, I can suggest two traditional bakeries to buy focaccia: the Antico Forno della Casana in the old town and Mario in Via San Vincenzo where students usually buy focaccia when they get out of school.